OurEnergyPolicy.org | Should We Continue Tax Credits for Carbon Capture? Should We Continue Tax Credits for Carbon Capture? As a party to the Paris Climate Agreement, the United States affirmed its continued commitment to significantly reducing carbon emissions by 2025. According to the Department of Energy and the International Energy Agency, achieving large CO2 reductions will require an “all of the above approach” with new and innovative energy technologies playing a primary role in any successful CO2 mitigation strategy. One technology receiving bipartisan support from a number of policymakers is carbon capture and sequestration (CCS). In February Representative Mike Conaway (R-TX 11th Dist.) introduced a bill, which would expand and create a permanent tax credit for CCS. Senator Heidi Heitkamp (D-ND) also recently proposed that the CCS tax credit be expanded in order to provide greater access to federal funding for future coal projects. Supporters believe these policies would encourage development of large-scale CCS programs, revamp R&D efforts for carbon capture technologies and incentivize major CO2 producers to invest. CCS advocates believe that a tax credit extension is critical since the current credits are capped preventing development of new projects. Fossil fuel coalitions and some environmental groups support the extension, arguing that CCS presents an opportunity to simultaneously continue production and curb emissions from coal and gas-fired power plants. On the other hand, some view the tax break as an expensive subsidy for fossil fuels disguised as a climate solution, lacking the technology to back it up. Tax credit opponents issued a letter this month citing a number of examples where federal funding for CCS technologies proved to be a waste of taxpayer dollars yielding no environmental benefits. These opponents of the amendment forecast a $530 million cost in the next 10 years if the credit is expanded or the cap is removed. Other opponents of the tax credit argue that private investment in CCS is the best option for R&D and future energy markets. 1. Should the federal government be subsidizing CCS, or should funding be shifted to private investments? 2. Are U.S. climate goals realistic without the possibility of CCS technologies to curb emissions? 3. Is CCS a viable option to reduce CO2 emissions? 28 Responses to Should We Continue Tax Credits for Carbon Capture? To put CCS in perspective, the global average temperature for the first 3 months of 2016 was +1.5ºC above the pre-industrial average, Greenland reached 10% area melt in April for the first time in the instrument record, and the CO2 reading at Mauna Loa for the week beginning April 10 was 408.69 ppm! So the bottom line is that we must accelerate efforts to reduce GHG emissions and to reduce CO2 levels in the atmosphere. CCS should be part of those efforts. 1. Should the federal government subsidize CCS? Yes, since there is not much incentive to privately develop CCS, at least not until a sizable carbon fee is put in place. Why would a power plant operator implement CCS if there is no requirement or incentive to do so? 2. Are US climate goals realistic without CCS? This is not the right question. The question should be whether global climate actions are adequate and, if not, can CCS help reduce global CO2 emissions. The answer to to the first part of the question is clearly no. The answer to the second part is, with further development, CCS can play an important role in reducing fossil fuel emissions and CCS technologies can be used in “air capture” systems that will be needed to directly lower CO2 concentrations in the atmosphere. 3. Is CCS a viable option to reduce CO2 emissions? While prior attempts at CCS were too expensive, too large, and too energy intensive, new systems in development show promise to address all 3 of these issues. I’m an investor in a company that recently installed and is operating, at a coal plant in Texas, a pilot-version of a new CCS system based on solid sorbents and rapid temperature swing cycles. Further refinement and scale-up is required for this and other new CCS technologies, but we would be foolish to exclude the CCS option from our climate action toolbox. While I tend to advocate for “the more tools the better” when it comes to climate change, I’m increasingly questioning whether CCS really stands a chance. Obviously the days of DOE concept designs based on building a nuclear plant next to a coal plant to power the CCS process are behind us, but the economics of CCS seem radically at odds with fossil fuel prices, falling renewable costs, and (apparently) near-term battery breakthroughs. Is CCS a prudent investment, or will it be out of the money as soon as it’s actually demonstrated. A key issue here is obviously economics. The Inventys technology seems primarily based on EOR economics, but the EOR market is miniscule. The videos don’t say anything about current or potential economics stand-alone CCS economics. Are there any numbers out there? Mark: Current CCS systems are indeed challenged from an economic perspective. Inventys quotes a figure of $20/ton for carbon capture (it’s about $35 with pressurization and injection in the ground). That’s about a third the cost (or less) of current systems. The Inventys system is also about one-tenth the size of Amine based systems so it can be retrofit to existing plants. The reason CCS companies focus on EOR (which is actually a large market) is because there is no market for “saving the world”. There are currently no economic incentives for power plant operators to adopt CCS. They are allowed to pollute the atmosphere for free and they will continue to do so until regulations prevent it or a price is put on carbon. This is the biggest market failure in history according to Sir Nicholas Stern. So it not appropriate to blame CCS for poor economics… it is current energy policy that doesn’t make sense. Carbon sequestration is an approach that replaces the global warming problem caused by CO2 dumping in the atmosphere with the highly uncertain long-term risks of burying the vast amounts (billions of tons each year) of CO2 deep underground. Once all that CO2 is stored underground, society is stuck with it like it is with high atmospheric concentrations of CO2. There is no pilot project that can adequately test the long-term leakage, water contamination, and earthquake risks associated with such massive sequestration of CO2. CCS tax credits are not the right way to go. They only encourage continued coal use with a dangerous way of storing the CO2 released that is subsidized by taxpayers. Carbon taxes are a much better approach to discourage CO2 emissions that instead incentivize the necessary replacement of coal-fired power plants with solar, wind, hydro, or geothermal energy. Carbon taxes also provide funds for the federal government to invest in clean-energy infrastructure development. The only kind of carbon capture technology that should be researched with potential federal government support is CCR where the captured CO2 is re-used for such purposes as production of algae biofuel as a replacement for gasoline. I agree that we should not encourage new fossil fuel power plants. In fact, we should be shutting them down. But that is not going to happen immediately and in the meantime, they will be spewing CO2 into the atmosphere and much of that CO2 will stay in the atmosphere for hundreds to thousands of years. 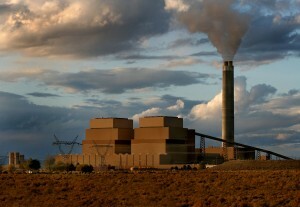 CO2 levels are already too high so we should be doing everything in our power to eliminate emissions from these plant while they are operating. I agree with you that subsidies are the not the way to go. A carbon fee with rebates for certified elimination of CO2 is the way to go. This will also encourage “air capture” of CO2 which will also be necessary (all of the survivable IPCC emission scenarios assume massive amounts of air capture). While we should not treat the sequestration process lightly, keep in mind that the CO2 was sequestered underground for millions of years before we dug it up. According the the DOE, there is a lot of appropriate storage available underground. By Sid Abma CEO, Sidel Systems USA Inc. & Sidel Global Environmental LLC. I don’t think the Fed’s can afford to subsidize CCS to all coal power plant locations. Look at Kemper County at $6.6 Billion and not completed yet, and FutureGen that was cancelled because of cost over runs. Boundry Dam in Sask was recently working to bring in another piece of equipment the size of a 6 story building. Then there is the $1 million dollar per mile pipelines to transport the CO2 to it’s location, and forever monitoring costs money too. Mr. Goldberg What is CCR? Our alternative to CCS is Carbon Capture Utilization. In these processes the CO2 is transformed into other products. These useful products can be sold into many industries. There are a handful of companies that have developed methods of CCU. As Mr. Goldberg stated the CO2 can also be pumped into algae ponds or facilities as a fertilizer. Algae is being processed into so many different products. In all this combusted coal exhaust is a lot of heat energy that can also be recovered and utilized in a number of different ways. Let’s reduce global warming in every way possible when applicable. With the heat energy removed from the exhaust – water is created, and this distilled water is also very useable. The ash can also be converted and used for a host of applications and products. Waste Is Not A Waste If It Has A Purpose. Combusted coal exhaust can be given a purpose. America needs a lot of energy produced if we are going to continue to live the lifestyles we are accustomed to, and we believe coal is a part of that energy source. Power plants already capture the heat in flue gases. They are almost all equipped with “heat exchangers” that capture the escaping heat and feed it back to the boiler. I’m generally sympathetic with Dan Miller’s observations here. CCS is a high-risk area that potentially could be very beneficial. That is the sort of problem that warrants government support of some kind. Henry Goldberg properly suggests that there may be better ways for the government to promote CCS development than the existing approach. But a carbon tax is a theoretical solution that has little chance of working in the real world of politics. The most realistic proposal along that line is for a very modest carbon tax to provide funding to support “clean energy” innovation. Even that faces an uphill battle. As entitlements consume an ever growing share of total government resources, it will be hard enough even to maintain existing public investments in energy innovations. So there is a need to make government support more efficient and productive. For instance, generous prizes for breakthrough innovations seem to be a more productive way to provoke useful developments than direct subsidies. As an example, the DARPA Challenge for demonstrating autonomous robotic vehicles leveraged private investments that now have brought self-driving cars close to commercial feasibility. As for what the objectives of CCS should be, removing carbon dioxide from the atmosphere simply to pump underground is not an elegant or really satisfactory solution. So far, the only commercial profit from that is for enhanced oil recovery, which substantially offsets any environmental benefit. Converting captured carbon into biofuel to be burned again has a similar shortcoming. Scrubbing SOx from smokestack emissions was viable because the byproduct, sulfuric acid, has valuable commercial applications. So scrubbing sulfur to some extent is able to pay for itself, enhancing its economic feasibility. Analogously, CCS will be most economically and environmentally viable when byproduct carbon can be converted into durable materials that will keep the carbon out of the atmosphere for a long time. Fabrics, plastics, construction materials, lubricants, organic chemicals, and graphene are the sort of valuable products that would meet that objective. AirCarbon™ represents a promising step in that direction. Lewis: While it seems like it would be impossible to implement a carbon fee in the US based on our dysfunctional government, the same thing was said about the legalization of gay marriage just a few years ago. The bottom line is that incrementalism will not solve the climate crisis. It’s already too late to avoid serious impacts (including losing most of southern Florida later the century or next) but there is still time to avoid some of the worst impacts if we act decisively. There is a carbon pricing policy that almost everyone will like. With Fee and Dividend, all the money collected from the rising fee on CO2 is returned to every legal resident on an equal basis. A similar policy exists in Alaska for different reasons (the Alaska Permanent Fund) and everyone supports it, liberals and conservatives alike. British Columbia has a somewhat similar carbon pricing policy and it is working well. Times up for saying that we need to find solutions that work economically even though they ignore the external cost of burning fossil fuels. We can choose to ignore the situation we are in but, whatever we do, we will not be able to negotiate with Mother Nature. Let me respond to a few of the comments above. The CO2 sequestered underground in the form of fossil fuels is obviously not the same risk as storing CO2 gas in huge volumes underground. I am not an expert on the risks but a number of experts have pointed to serious concerns about major leakages poisoning populations, water contamination, and earthquakes. Why start down this risky path when the much safer approach is to develop a strategic plan for the replacement of all existing coal-fired power plants with renewable sources supplemented with natural gas as necessary? Large-scale carbon sequestration underground creates a major new risk and discourages policymakers from doing what needs to be done in the very near future. CCR is the acronym for Carbon Capture and Re-use. It is the same thing as your term Carbon Capture Utilization (CCU). I commend your firm for developing efficient ways to use captured CO2 to make different products. I don’t agree with your assumption that carbon taxes are unrealistic in the U.S. Carbon taxes are being implemented by some Canadian provinces and may be implemented nationally soon. The current low oil price environment is ideal for introducing carbon taxes to discourage oil/coal consumption and not meet too much resistance from consumers. There should be political leadership in the U.S. that can effectively make the case for the net economic benefits to the country of carbon taxes in reducing global warming and oil imports, along with providing funds for federal government investment in clean-energy infrastructure. But I do agree that such carbon taxes must be implemented internationally to create a level competitive playing field for all countries and have the overall required impact on reducing global warming. You make a good point about using captured carbon in durable products that will keep the carbon out of the atmosphere for a long time. I spoke to the leading expert on CO2 sequestration at Stanford, Sally Benson, and she told me that their is room underground for massive CO2 sequestration and it can be done safely. While there may be some risks from putting CO2 underground, the risks are far higher if we let that CO2 into the atmosphere. I agree that we should phase out fossil fuels ASAP, but in the meantime, we should use CCS. Even once fossil fuel power plants are gone, we will still need to capture CO2 from cement plants and other industrial activities. And since CO2 levels are already too high, we will also need to capture CO2 directly from the atmosphere. In no way should sequestration be subsidized! It is like landfilling our money. Carbon Capture with utilization will be necessary but there are things available today that can be productive interprises including producing of fuels from bacteria like Algenol or Joule Unlimited. These pathways are already approved by EPA. Presently, these technologies can only be deployed below the 35th parallel. Bioprocess Algae can produce in northern climates but are not competitive in fuels and are targeting the fish feed markets. At the bench level development is gas fermentation of CO2 and H2 to produce fuels and chemicals. Making low carbon H2 afforable would be a far better use of our subsidity money. The billions spent on sequestration could have gotten these technologies moving. I find it ironic that the fossil fuel industry is asking for a permanent tax credit when renewables have to fight to get a two year extension. The reality is that the fossil people want to be subsidized to throw CO2 away so they can pull more out of the ground. I think Mr Goldberg is correct. Geological sequestration of carbon by storing gas phase CO2 or supercritical liquid CO2 in geological formations or directly onto the sea floor would not be an environmentally sustainable option for reducing CO2 emissions. This is because with gas phase CO2 sequestration, the gas could be released should there be an accidental penetration in the formation. Supercritical CO2 is more reactive than gaseous CO2 and has the ability to combine chemically with metals to form solid carbonates. However these geochemical reactions that form carbonates would take centuries to millennia, and the possibility of leakage is very likely to occur as supercritical CO2 attacks concrete – the usual material for capping wells. Ocean stored CO2 is likely to combine with the water, increasing the acidity of the water. As a result of this, shells of shellfish and corals would dissolve and reproduction of sea creatures would also be affected. Biological (or terrestrial) sequestration through natural processes by plants and micro-organisms can led to a net removal of CO2 from the atmosphere by storing CO2 in vegetative biomass and in soils; and this promotes sustainable agriculture and forestry practices. However, carbon stored in soils oxidizes quickly into the atmosphere or water; and forests release the carbon stored in trees as the forests burn or the trees are uprooted or damaged severely. An example is Hurricane Katrina destroying about 320 million large trees in the Gulf Coast forests. Algae-based biological sequestration offers a more viable and sustainable option in two ways; 1) value-added sequestration of CO2 through conversion to biomass and 2) biomass which can be used to produce renewable fuels (biofuels and/or biogas), bio-based chemicals and materials. The main challenges for a meaningful contribution of algal CO2 bio-fixation are to achieve large-scale algal production at competitive costs. In view of these, expanding federal government support for Carbon Capture Utilization (CCU) including algae-based CCU technologies as well as support for renewable energy and energy efficiency would be the right thing to do. Private investments in CCU is also needed to spur on the market penetration of these technologies. The article you referred to at https://www.technologyreview.com/s/411129/carbon-capturing-rock/ asserts that it is not a given that what the researchers had observed with the peridotite rock found in Oman, would happen in the scenarios that they propose since “questions remain about whether the methods will work in practice” though “the conceptual idea makes sense”. Kenneth: I am not implying that sequestration is well understood and ready to be rolled out on a massive scale. We need further research, development, and testing. But not pursuing CSS is itself a risky approach. The main risk of CCS is that it leaks slowly and, therefore, it is not effective (the chance of a massive release that kills people is very low). The main risks of putting too much CO2 in the atmosphere is making the world inhospitable to humans and other species, sea level rise that leads to abandonment of most of the worlds major cities, and droughts and floods that lead to mass famine. I believe it makes sense to pursue further research and development of CCS. Instead of subsidies for failure, prizes for achievement. Put a bounty on captured and cracked CO2 big enough to stimulate interest in a pioneering effort. The capture method should not aggravate the already huge water consumption of coal plants. The disposal of captured CO2 should be by electrolytic dissociation so oxygen can be recycled. The elemental carbon could be valuable fiber. Geological storage of billions of tonnes each year, in pore space presently filled by salt water, sounds like a fool’s errand. Wilmot: Turning CO2 back into carbon and O2 requires essentially “unburning” the carbon. This takes as much energy as was produced by burning the carbon in the first place! The only place this makes sense is using CO2 as a building block for making hydrocarbon fuels using renewable energy. But when the fuel is burned, it re-releases CO2 that must be captured again if we are to bring our emissions down to zero. CCS could become a very important technology. The question is: who should pay for its development? Taxpayers or polluters? How do we justify that taxpayers should pay for the development of CCS so polluters may someday be free-riders of this technology? Chi-Jen: If a carbon fee policy is put in place with a credit for certified sequestration, then polluters will pay for net emissions, which makes sense. This puts an incentive in place to eliminate fossil fuels and move to renewables but can, in the meantime, lead to a step-change reduction in emissions once the carbon fee rises above the cost of CCS. My understanding is that the statistics I cite above are from use of CO2 captured from CCS processes, not from underground repositories, so I think the idea of reducing carbon footprints by 50% remains hotly contested. There’s also a very real fear that facilitating massive increases in fossil fuel production will engender carbon lock-in, so I would want pretty compelling proof that we’d see very substantial net reductions in atmospheric carbon dioxide concentrations to justify this approach. I remain unconvinced at this point, despite the clear exigency to address our climate emergency. Will: I think you meant to reply to our thread below, but I will answer here. I do think that EOR using captured carbon provides a lower carbon footprint than other forms of oil production, but there is an issue whether this form of oil production is additive or a substitute for other forms of production. If we ever get some sense, we can easily implement energy policies that ensure that it is a substitute. In any case, all of the survivable IPCC emissions scenarios assume massive amounts of carbon capture, so we better develop this technology (including air capture). It would be great if there were incentives in place to develop carbon capture, reuse, and elimination technologies (beyond the current, relatively small government demo projects), but in the meantime, I think it is a good idea to use the opportunities before us to develop and deploy the initial versions of these systems. Time is not on our side. Dan: The IPCC scenarios that assume a substantial role for carbon capture or NETS assume that there’s not substantial increases of carbon emissions associated with the process, so if there is, indeed, not a substantial decline in emissions associated with EOR, this process would not facilitate the kind of decline in emissions associated with the lion’s share scenarios that avoid 2C. I remain unconvinced that we should pursue EOR with CCS just because we’re in desperate straits. The threat of carbon lock-in, and the opportunity costs of providing very large subsidies to CCS to facilitate EOR, should give us cause to look at alternatives. Recent studies that I’ve seen indicate one ton of CO2 used in EOR will roughly result in the production of 0.76 to 0.91 tons of equivalent CO2, which will ultimately wind up in the atmosphere. (Since virtually 100% of those liquid fuels will be used for transportation and other functions that aren’t being considered for CCUS.) Thus, at the most, CCS with EOR can provide only an extremely modest contribution to GHG reductions, because each ton of CO2 used in EOR is actually sequestering only around 0.24 to 0.09 tons of it on a permanent basis. It begs the question of whether the opportunity costs of providing federal subsidies are worth it, or whether it would make more sense to direct those subsidies to GHG-reducing basic research. Will: With “normal” EOR, fossil CO2 from a small number of natural reservoirs is injected underground to free up oil. Since that CO2 came from underground and went back underground, it’s net footprint is zero and the the oil’s foot print is +100%. But when you use captured CO2 that came from the atmosphere (or was headed into the atmosphere), there is an offset in the oil’s carbon footprint because the injected CO2 stays underground. My understanding is that the injected CO2 can offset 50% or more of the oil’s carbon footprint. So using captured CO2 for EOR is clearly better than using fossil CO2. But one of the reasons that the carbon capture industry focuses on EOR is that there is no market for CCS. With just a few exceptions, there is no material price on carbon and no one is going to pay a power plant operator to reduce CO2 emissions. So the focus is on EOR now, which is the only large commercial market for CO2. This is a good thing because it provides a market to develop carbon capture technology. When the world finally decides it wants to get serious about addressing climate change (and it better get serious soon! ), there will be a material price on carbon and other incentives/regulations to reduce CO2 emissions. When that time comes, carbon capture systems can be deployed for pure CCS (and CCUS) applications. As I mention above, continued research into sequestration techniques and long-term consequences is also needed. Taxpayers for Common Sense (TCS) is a non-partisan budget watchdog serving as an independent voice for American taxpayers. Founded in 1995, TCS seeks to achieve a government that spends taxpayer dollars responsibly and operates within its means. In a recent letter to the Senate, we joined with our Green Scissors coalition partners, Friends of the Earth and R Street Institute to urge Congress not to include tax credits for carbon capture and sequestration (CCS), or other so called “clean coal” measures, in the Federal Aviation Administration reauthorization bill or any other legislation. We reiterated our longstanding concerns after several groups and lawmakers made it clear they were working to advance CCS subsidies. The federal government should not be subsidizing carbon capture and sequestration or other clean coal technologies. Taxpayers have already lost billions of dollars in pursuit of clean coal, and private industry should be shouldering those costs. The Department of Energy (DOE) has been investing billions of dollars in CCS for more than a decade, and there are still no commercial ventures in the United States that capture, transport, and inject large quantities of carbon dioxide for storage. Last year DOE made the long overdue decision to pull the plug on the massive clean coal project known as FutureGen. Of course that was only after hundreds of millions of dollars were squandered on the project. And even though DOE had tried to stop the project years earlier, FutureGen had well-connected boosters in and out of government that kept it alive in various forms for more than a decade. In the end, it was the lack of interest from the private sector that proved to be FutureGen’s undoing. That was also true of the Hydrogen Energy California project and the Summit Texas Clean Energy Project, on which DOE had spent $211 million before recently withdrawing further support. In 2010, President Obama directed a CCS task force to develop a “plan to overcome the barriers to the widespread, cost-effective deployment of CCS within 10 years, with a goal of bringing 5 to 10 commercial demonstration projects online by 2016.” Southern Co.’s Kemper County CCS plant, which will be the first to come on line, has cost more than double its original estimate. Even with funds from the “stimulus” (American Recovery and Reinvestment Act) and federal investment tax credits, the project is facing economic hurdles. If the smaller Petra Nova project in Texas also comes on line in 2016, it would bring the total to two, far short of the Administration’s goal of 5-10 by the end of the year. The argument that the government should be spending money to encourage development of high-risk technologies like CCS to meet climate goals ignores the fact that there are alternative, cost-effective options for energy production in this country that already meet low carbon emissions standards and are far less risky than CCS. The nation is facing a $19 trillion debt, it’s past time to stop squandering cash on clean coal subsidies. If the day comes when market demand for emission-free coal makes the costly carbon capture technology worth the risk, or uses of captured CO2 can generate enough revenue to make the technology more cost-competitive, then private industry can finance it without taxpayer subsidies. I concur with Autumn as my previous post suggests. There is certainly a difference of opinion between Will Burns and Dan Miller as to how much CO2 will be sequestered by EOR. I have studied the figures being projected on the Petra Nova project and they seem to suggest that Will Burns higher end figure 25% net sequestration is more accurate that Dan’s 50%. After the construction of the capture system and the pipe line, the West Ranch oil field where the EOR is taking place will be bled dry in about 10 years. Ten years is certainly less than the life span of this capital investment. What is one to do then? This 11,500 acre oil field is right on the gulf at Port Lavaca. As a comparative example, if this 11,500 acres were developed into a algae farm using the technology of Joule Unlimited, technology now approved by the EPA, it could produce approximately the same amount of hydrocarbon fuel per year as will be recovered by EOR. This could go on indefinitely accounting for an effective 50% sequestration as the fossil carbon is used twice. As long as salt water is available from the Gulf, these algae will produce fuel AND fresh water. CCU will have far better economics that sequestration. 558×10^6 m^3 oil produced with 1118 Mt CO2 sequestered. This is just one example, and the actual amount sequestered depends on many factors, but it shows the potential for serious oil carbon footprint reduction is there. The bottom line is that there is already too much CO2 in the atmosphere and we need to do everything possible to stop putting more CO2 into the atmosphere and to start removing the CO2 that we already put there.